Power Survey is a prominent brand that’s known for excellence in everything from harmonic distortion correction to power factor correction. It’s also known for first-rate active harmonic filters. Power Survey specializes in AHF offerings that pinpoint whether harmonic currents are in place. These filters also establish anti-currents. Anti-currents are important because they have the ability to minimize harmonics and bring them down to suitable and fitting degrees of intensity. These filters eliminate destructive harmonic currents. They differ from passive filters in that they don’t call for harmonic current assessments in advance. Power Survey‘s AHF products can come in handy in many different ways. They can be appropriate for areas that have significant loads that are non-linear. They can even help areas that have many DC drives. Active harmonic filters made by Power Survey can bring many perks to the table. They offer energy efficiency that can minimize operating costs and keep equipment in working condition for a lot longer. They minimize disruptions during the production process. They decrease the emission of carbon dioxide as well. This is thanks to the energy efficiency they offer. Do you like the idea of reducing voltage and current harmonics? Are you striving to lessen heat and the deterioration of drives and motors alike? Power Survey can impress you with an active harmonic filter that’s the definition of high-quality and reliability. These filters can even decrease current intake and boost production consistency. If you want to know more about active harmonic filters and all the great advantages they provide, get in touch with the friendly team at EMR Associates as soon as possible. Our company has been a staple in the technology, automation and power markets since launching back in 1979. We’re a hardworking Tennessee-based company that can accommodate all your active harmonic filter needs and beyond. 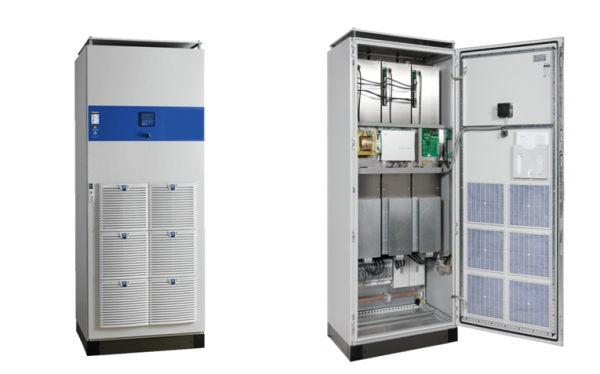 When you’re on the lookout for active harmonic filters, medium voltage options, low voltage options, switchgear, distribution components, accessories and more, we can provide solutions. To learn more please contact Mike Hughes at 615-828-8028 today! We look forward to hearing from you! hello , I just need to know how to use the proper harmonic filter for my system and will it save electricity monthly cost and if it save how could I know how much will it save ?